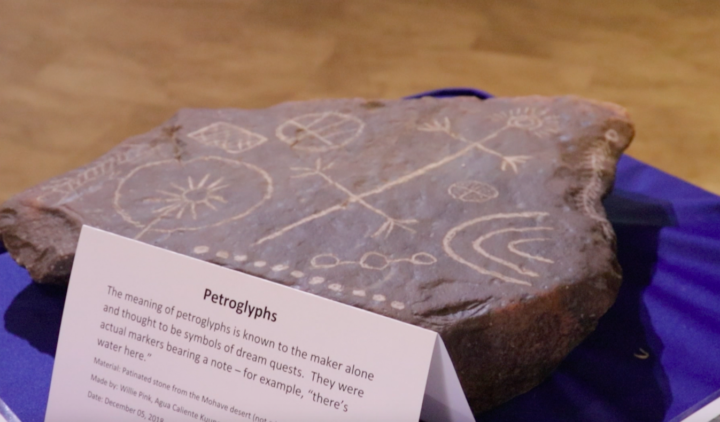 Located in the heart of Lake Perris, the Ya’i Heki’ Regional Indian Museum provides a look into Southern California’s Native American history. 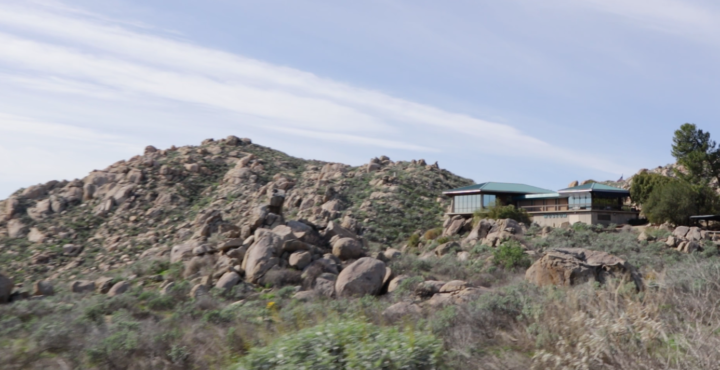 Located on top of a small mountain lies the museum that explores the history of the Native American tribes in Southern California. The museum directs its focus to six particular tribes that are the Cahuilla, Cupeño, Chemehuevi, Luiseño, Serrano and Vanyume Indians. The two largest groups are known to be the Cahuilla and the Luiseño group. The Cahuilla tribe is known to settle from the San Jacinto Mountains to the Colorado Desert and spoke the Uto-Aztecan language. Whereas the Luiseño ranged west to the coast of California and are the first tribe during their time to encounter the Spanish. 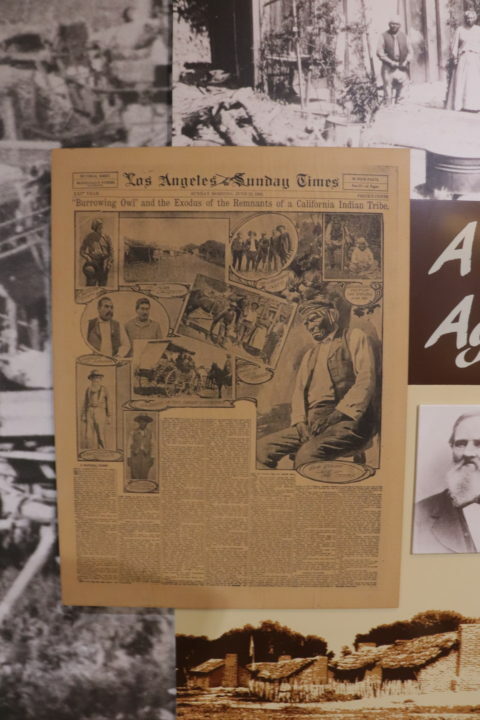 Before the construction of the dam that is located on Lake Perris, artifacts were found that indicated that both of these groups traded with the other tribes. Jack Boyes, a volunteer at the museum gave a brief background about the features located in the museum. The pictographs are pictures that are drawn on to the rock as opposed to those that are carved on the rock that is petroglyphs. Pictographs can also tell a story and can be found around the park and just outside the museum. Through the visuals that are located on the walls of the museum, it helps paint the story of the arrival of Europeans and the impact that they had on the lives of the Native Americans. The front page of an old Los Angeles Sunday Times newspaper from June 1962 shows the early reports of the Indian tribes. A small theater located in the interior of the building plays videos of the history of the Spanish Anza expedition that lasted from 1775 until 1776. These videos help explain the complicated story of migration and settlement of families from the country’s Natives and Latino heritage. Jack Boyes demonstrating how to the natives would use certain tools to help them hunt and cook. Baskets and pieces of broken pottery are on display to show how skillful the women were. These women would carefully create their baskets with such detail and care. Despite tribal distinctions, the harsh treatment that they received from the Europeans brought the groups closer to endure the new unpredictable social environment. 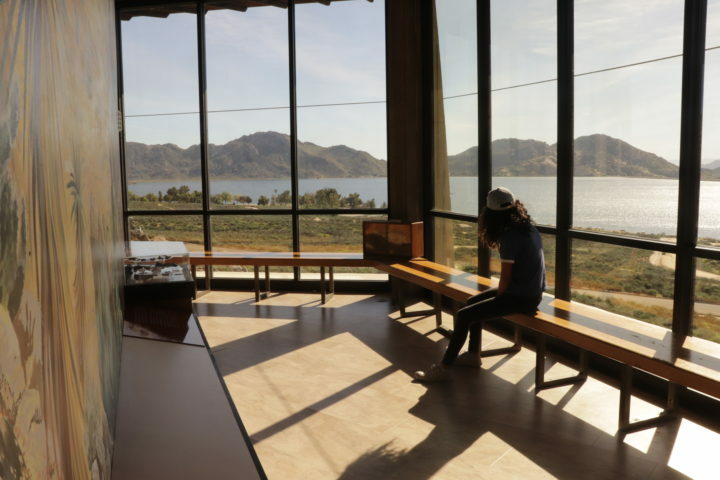 There is an enjoyment of taking a seat in front of a mural that illustrates the history and a view of Lake Perris just at a distance. Rabbits, mountain lions, the grizzly bear, owls and more are placed on display to inform people of the animals that the groups would hunt or encounter during their time. 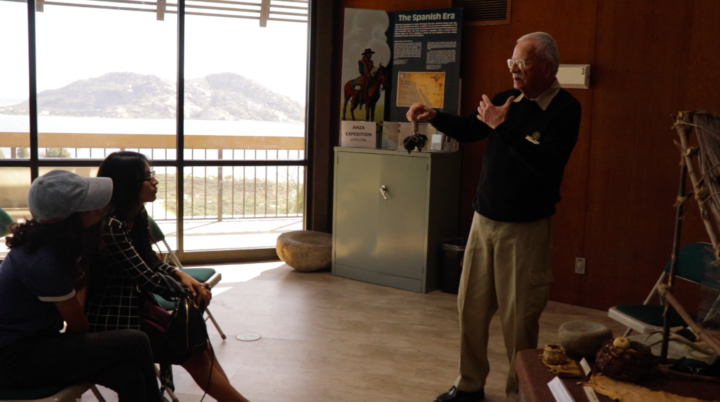 The museum also gives visitors a chance to sit down, learn about Native American history and enjoy the view of Lake Perris. Through language, song, dance, and crafts, generations of the groups would use these ways to pass down their history to the new generation. 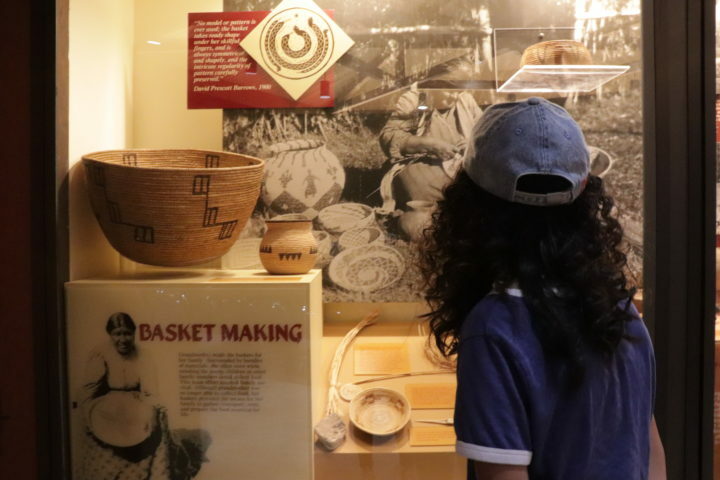 With museums such as the establishment of the Ya’i Heki’ Regional Indian Museum, this helps the community understand, explore and maintain the Native American culture alive.